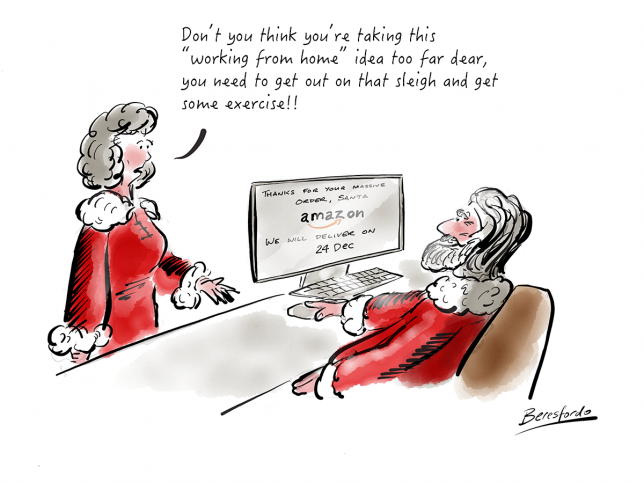 Santa does a spot of home working! Who needs a sleigh and all that going outside in the weather, squeezing down chimneys when you have online ordering! 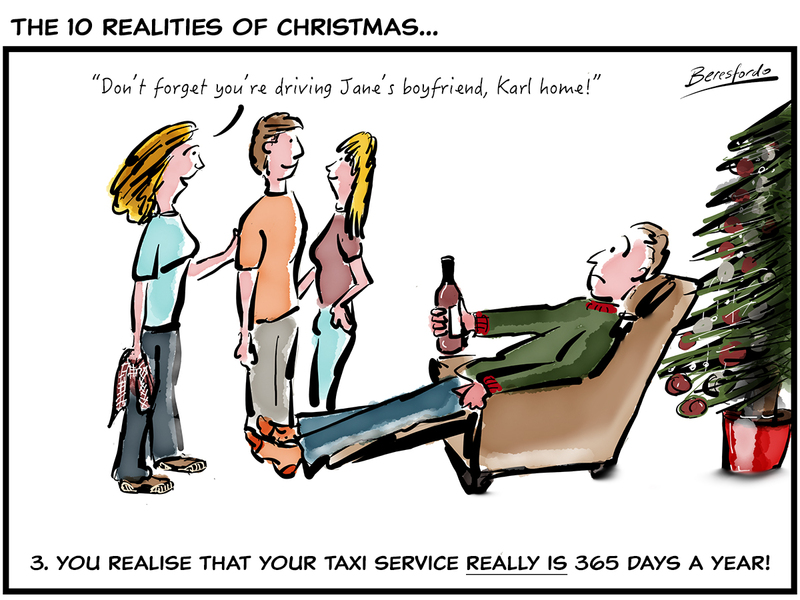 Your 365 day a year taxi service! 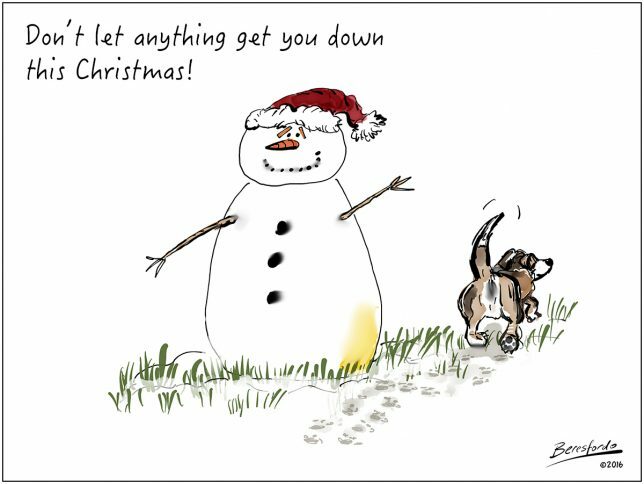 Forget that nice bottle of wine and snuggling down in front of the telly on Christmas night – this is when you realise that your taxi service is a true 365-day-a-year enterprise! 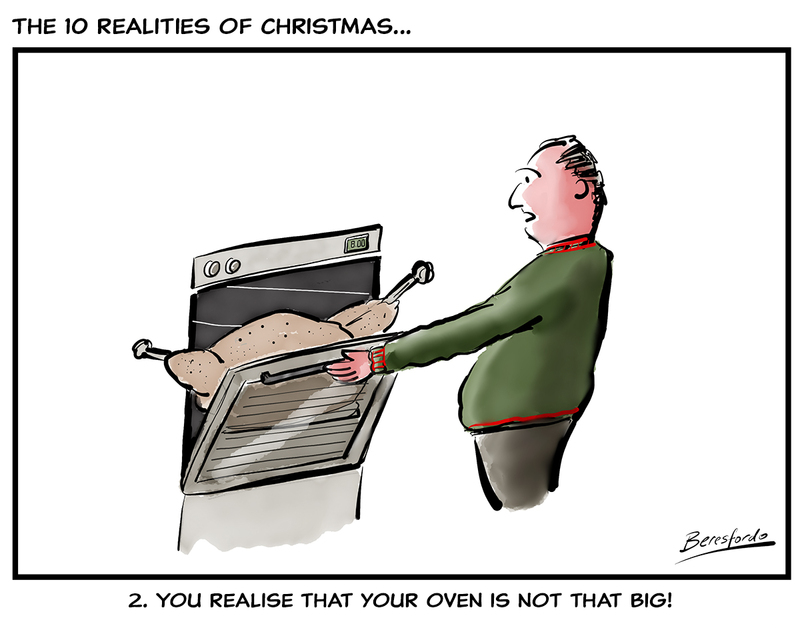 When your oven is not quite big enough! That turkey always looks a lot smaller in the shop, then you get it home and this happens! The quest for a toy battery on Christmas Day! 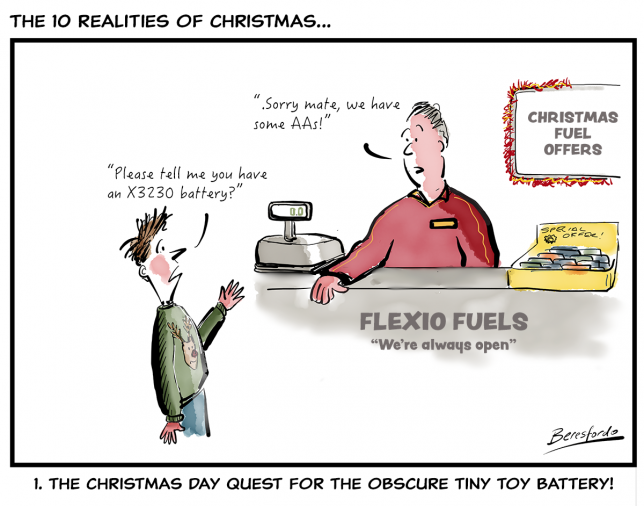 Those toys never need a normal battery – have you ever had to tour the local garages on Christmas morning? 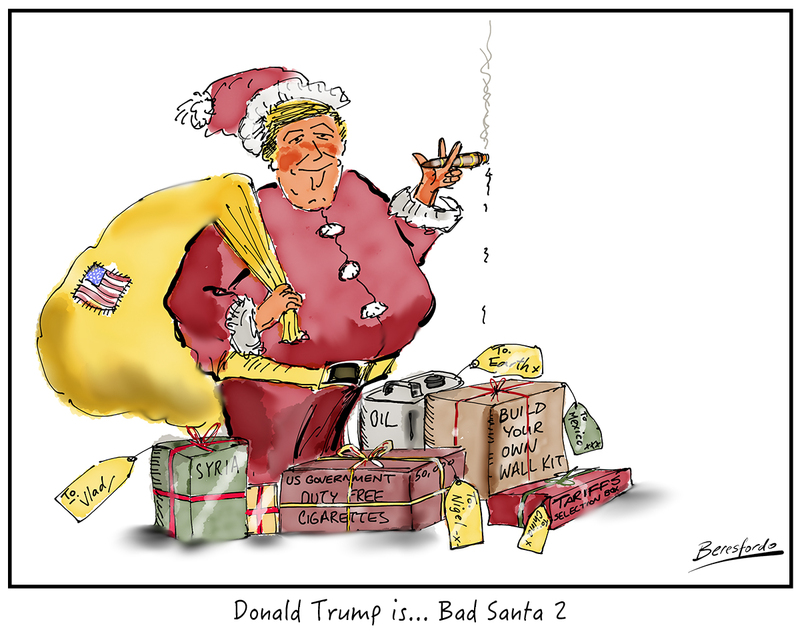 You should always look on the bright side at Christmas!